For the third in our series on the must-read books in Pandaw's library, Colin Donald recommends Defeat Into Victory, a general's-eye view of the Second World War in the Burmese theatre. Whether they know it or not, Pandaw passengers in Burma tread in the footsteps of the short-lived Fourteenth Army. The Irrawaddy and the Chindwin rivers were crucial to the campaign, particularly in the pivotal final battles of the summer of 1945. 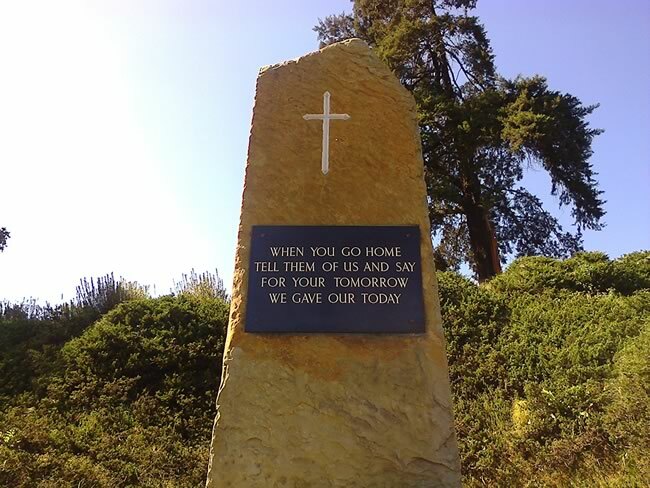 Our routes are haunted by the ghosts of thousands of British and Commonwealth soldiers who, to paraphrase the Kohima Epitaph "for our tomorrow, gave their today". Countless books have been written about the travails of the so-called "Forgotten Army" and its bloody, disease-ridden, mud-spattered contest with the Japanese. Most have acknowledged the stand-out horrors endured by the "Cinderella of all British armies". Its soldiers battled with inadequate equipment in sweltering, malarial, trackless and monsoon-sodden terrain, the fanaticism and brutality of the enemy made worse by topography that resembled "the teeth of a saw" and "a thick-piled, dull green carpet, rucked up into fold after fold". Out of all the literature of the war, there is one widely acknowledged masterpiece, written by the man in charge. Field Marshall William Slim's Defeat Into Victory (1956), from which the above quotes are taken, has been hailed as the best "general's book" to emerge from World War II. It has also served as a repository of wisdom on jungle fighting has been cited in subsequent conflicts, particularly the American war in Vietnam. "Uncle Bill" Slim (1891-1970) is now seen as one the greatest of all Britain's wartime generals, at least on a par with Montgomery, whose hunger for publicity he did not share. Modest, plain-spoken and especially attentive to the welfare of his troops, Slim was also an exceptionally clear-sighted writer whose penetrating intellect and good judgement of men were matched by intensely aggressive military instincts. It is a rare combination of talents. They were not prepared to admit that they had made a mistake, that their plans had misfired and needed recasting. That would have meant personal failure in the service of the Emperor and loss of face. Given the "savage" atrocities perpetrated by the Imperial Japanese Army "to their eternal shame", his cool appraisal of their strengths and weaknesses seems remarkable now, and must have seemed even more so in the heat of battle. The dominant theme of the book is how he managed to diminish the legendary Japanese jungle- fighter in the eyes of his soldiers, and how he used their generals' excessive "military optimism" and inflexibility to outthink them and outmanoeuvre them. The turning point was his drawing them deep into India for the great battles of Kohima and Imphal in the spring/summer of 1944, which fatally over-extended their supply lines. As you would expect, Defeat Into Victory is partly a record of the minutiae of military planning, tactics and strategy, much of which came down to questions of air supply and ability to move men and materiel across the Burmese environment and population, both of which he describes with great sensitivity. It is also a celebration of the gallantry and guts of those whom Slim, writing ten years after the war's end, felt had been insufficiently appreciated. Most of all it is a cracking good story. Slim liked to be where the action was, and the book gives vivid pictures both of the fighting, but also the environment in which it happened. Although it does not dwell on the price paid by so many, it conveys something of the sense of what it was like to be in the Burmese inferno in these terrible three years. Even for those ignorant of military science will enjoy Slim's brisk account of this back-and-forth campaign, from his surprise posting on the eve of the Japanese invasion in 1942, to the reconquest of Rangoon and the Japanese surrender in August 1945. As the title suggests, Slim's contribution was to rescue British honour from its lowest depths, following the humiliating and horrific long retreat into India (he does not linger on the worst aspects of this), and to create the conditions for ultimate triumph of a multinational, multicracial army over one of the most formidable, and ruthless fighting machines ever put in the field. Slim has many virtues as a writer, not least a clear, unpretentious and lively prose style, including a surprising amount of wry humour. Rather self-consciously perhaps, he is prepared to admit his own mistakes, and to apologise for the occasional act of recklessness or bad judgement. He also has an eye for the beautiful and the quirky; his description of the temples of Pagan at dawn for example, or the experience of discovering General Rees leading his Assamese soldiers in the singing of Welsh missionary hymns following a battlefield success. Slim had no time for the grandstanding, in-fighting and tantrums that bedevilled the joint British-US command in the East, though he recounts them with some relish in his descriptions of other senior figures. He undoubtedly has scores to settle, for example implicitly criticising General McArthur of delaying the Japanese surrender to suit his own ego, prolonging the agony of sick and dying British POWs. There are incisive pen portraits of "Vinegar Joe" Stilwell, whom alone seemed to like, the aviator General Claire Chennault, and the dashing Admiral Louis Mountbatten, as well as more obscure generals like "Punch" Cowan and James Giffard, whom, he clearly felt had not been given due credit. His description of his encounter with Aung San, the Burmese leader who initially fought with the Japanese (Slim is contemptuous of the fighting abilities of the Burmese and Indian National Armies). His final verdict on the soon-to-be-martyred post-independence leader's character? "The greatest impression he made on me was one of honesty… I felt I could do business with Aung San." Wingate was a strange, excitable, moody creature, but he had fire in him. He could ignite other men. When he so fiercely advocated some project of his own, you might catch his enthusiasm or you might see palpable flaws in his arguments; you might be angry at his arrogance or outraged at so obvious a belief in the end, his end justifying any means; but you could not be indifferent. You could not fail to be stimulated either to thought, protest, or action by his sombre vehemence and his unrelenting persistence. While the physical traces of the Second World War in Burma have long since been erased by time, the monsoon, and tropical vegetation, this great record still stands sixty years after it was written as if carved in granite. Arguments will rage about the causes and consequences of the Burma campaign, but after reading Defeat Into Victory, the peace and serenity we witness from Pandaw's decks acquires a whole new meaning.